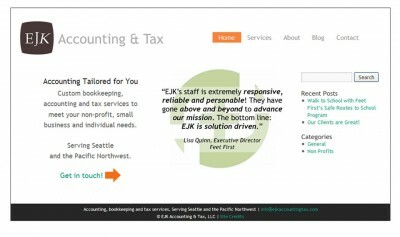 EJ Kim provides custom bookkeeping, accounting and tax services from her Queen Anne studio. 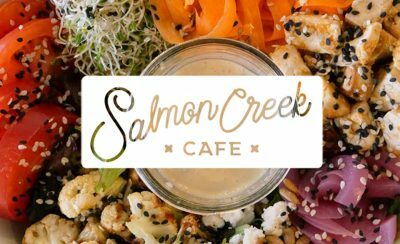 Amy Tucker provides custom graphic design services. I provide custom website development services. EJ and Amy enjoy snowboarding. EJ and I enjoy motorcycling. But all of us enjoy serving nonprofits and small businesses. The website for EJK Accounting & Taxes is powered by WordPress, an award-winning open source Content Management System. Learn more about EJ at www.ejkaccountingtax.com. I have worked with Scott Marlow in various capacities for nearly 20 years. In 2016, he helped create and implement our company’s WordPress website. Scott has a deep understanding of the technical and financial issues small businesses must consider when developing and maintaining a site. If you’re looking for someone who is responsive, has incredible attention to detail and quality, and who is always willing to recommend a better approach (even if it means a smaller price tag), I encourage you to work with Scott on your next web project.